Exterior sides and front are constructed of heavy gauge stainless steel or aluminum. Exterior back and bottom are constructed of heavy gauge galvanized or optional stainless steel. Exterior dial thermometer. Square-cornered construction allows for continuous side-by-side line-up of sections. 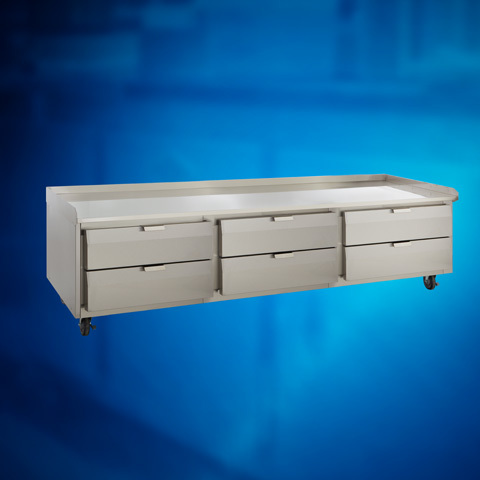 Cabinet is supported on stainless steel adjustable 6"legs. Cabinet body is 100% CFC free, foamed- in-place polyurethane insulation. 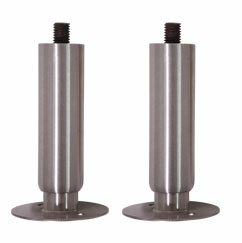 All heavy gauge stainless steel construction with coved corners. Optional automatic interior light with concealed actuator. 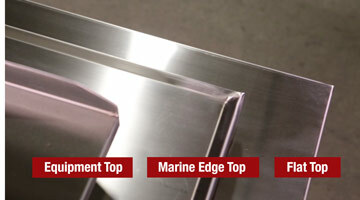 Heavy-duty stainless steel shelf standards and shelf clips for superior durability and corrosion resistance. One (1) chrome plated wire shelf per door opening. Each drawer has four, 2" diameter ball-bearing rollers which travel on 14 gauge stainless steel slides. Door openings protected by impact-resistant PVC breaker strip. All stainless steel construction with magnetic snap-in gasket. Door openings have built-in energy saving condensate heaters. One piece, stamped door handle with built-in security cylinder lock. In order to prevent damage to door during installation, doors are equipped with self- closing lift-off cam hinges for easy door removal. Doors stay open at 120 degrees for easy access to interior. Insulation is 100% CFC free, foamed-in-place polyurethane. Standard door hinging is left door hinged left, center and right doors hinged right (other configurations available-please specify).